The Chamber offers numerous opportunities to enhance your business visibility through target marketing, event showcases and an improved internet presence. One of the many ways we help our members build their brand awareness is through brochure and rack card distribution. As a valued member of The Greater New Braunfels Chamber, remember that you can get your business out to the public by displaying your business rack card or brochure at both the Chamber and the New Braunfels Highway Visitor Center. 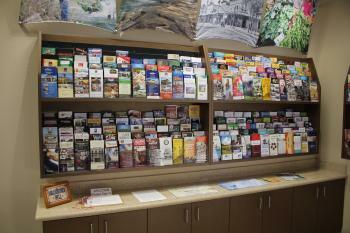 Bring your appropriate sized rack cards to both the Chamber and the Visitor Center today.